Dressed in your finest armour with your most loyal soldiers by your side, you parade the streets in display of your victory. The closely woven rings of your John Steel Chainmail Hauberk seem to glint triumphantly in the sunlight. Made of steel rings woven together in a traditional 4-in-1 pattern, this tunic-length hauberk features sleeves that fall two thirds of the way down the arm and a length that reaches mid-thigh on most wearers. Zinc galvanization grants this armour piece its silver tone while protecting it from rust. 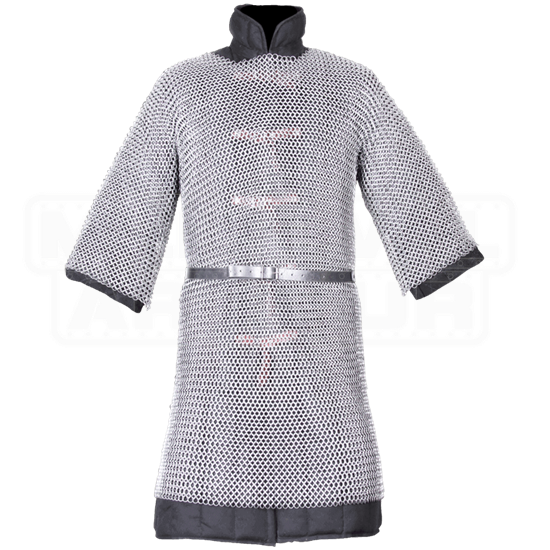 Wear this chainmail hauberk over a padded gambeson to get the look shown along with superior safety and comfort. Adding a belt at the waist, as pictured, will also help distribute the weight of the armour piece. 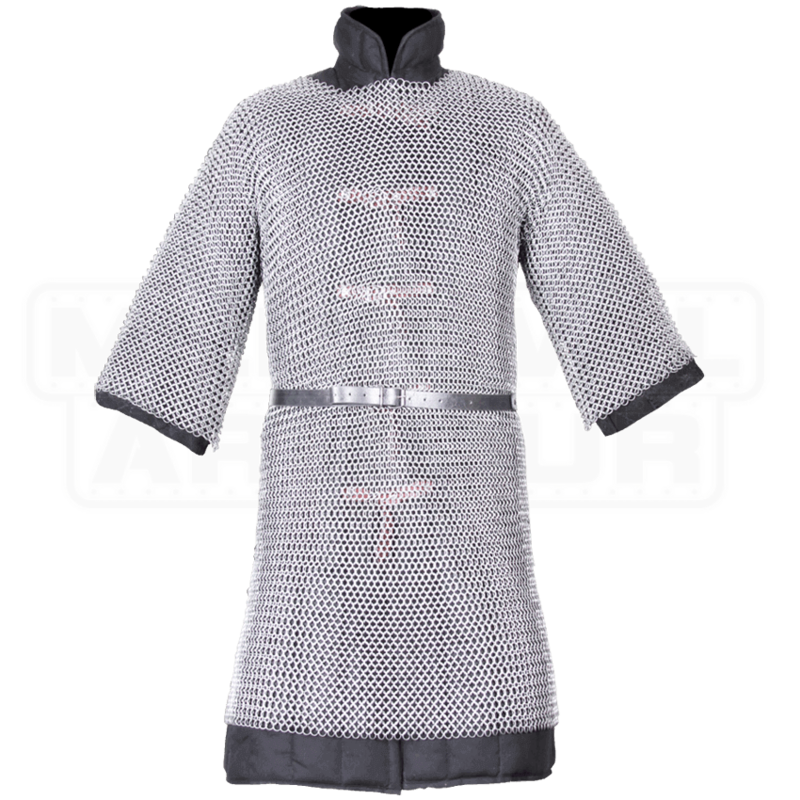 An essential asset to any heavily armoured knightly looks, the John Steel Chainmail Hauberk is ideal for medieval or fantasy LARP and costume use.